AUSTRALIAN-listed junior, Lucapa Diamond Company, talked up diamond mining prospects in Angola on the back of the success of its Lulo alluvial diamond mine and the pro-foreign investment stance of new president, Joao Lourenco. Since being elected in September last year, Lourenco has embarked on a campaign to diversify the Angolan economy from its overwhelming dependence on oil as well as promote foreign direct investment into the country. But that has to be a “hard sell” for both Lucapa and Lourenco given Angola’s poor track record in the treatment of foreign mining companies which has resulted in a string of diamond explorers and producers leaving the country over the past decade. Diamond companies which have pulled out include Petra Diamonds and De Beers while Johannesburg-listed junior, Trans Hex, battled for years to try and establish profitable mining ventures there after former chairman, Tokyo Sexwale, committed the company to Angola from the early 2000’s. De Beers’ assessment of Angola last year was that it is the most likely country in the world where a new major diamond strike could be made because it is both highly prospective and under-explored. Yet De Beers has stayed out of the country citing concerns over its “… likely security of tenure” to any diamond finds that it might make. A dealbreaker for many companies is that under the present dispensation in Angola they cannot obtain equity control of their projects. 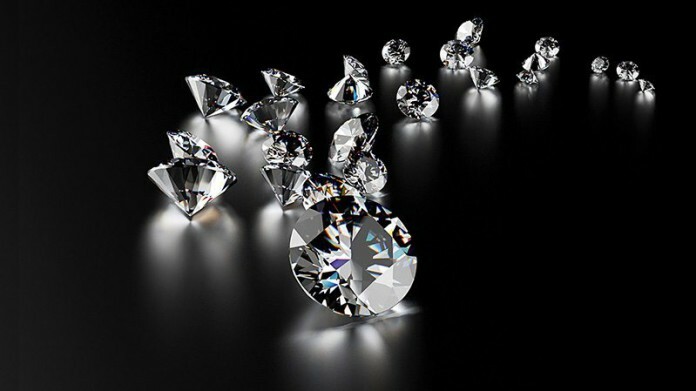 Typically, the foreign mining company gets a 40% stake in the operation while the balance of 60% is held between Angolan state diamond company Endiama and local Angolan partners. Despite owning just 40% of the mine the foreign company still has to fund 100% of the capital cost of developing it. Lucapa decided to move into the country in 2008 despite all these negatives on the basis that the potential rewards were worth the risks. According to investor relations executive, Mark Drummond: “Angola is elephant country for diamonds. We would take 40% of a spectacular kimberlite discovery any day rather than 100% of nothing. “We gave it a go and stuck it out and now we are reaping the rewards. We are unashamedly showcasing Angola to the world to show that the country does work. The Lulo operations are producing some of the world’s highest value alluvial diamonds with total sales of $106m at an average price of more than $2,100/carat since operations started three years ago. According to Drummond the nature of the diamonds recovered – which are irregular in shape with sharp edges – indicate the host kimberlite pipe is close by. He added: “We believe we are closing in on that source kimberlite through a systematic process of elimination. We have identified the targets and we have three drill rigs in operation. The business is generating substantial free cash which is paying off our investor loans as well as funding the exploration work”.